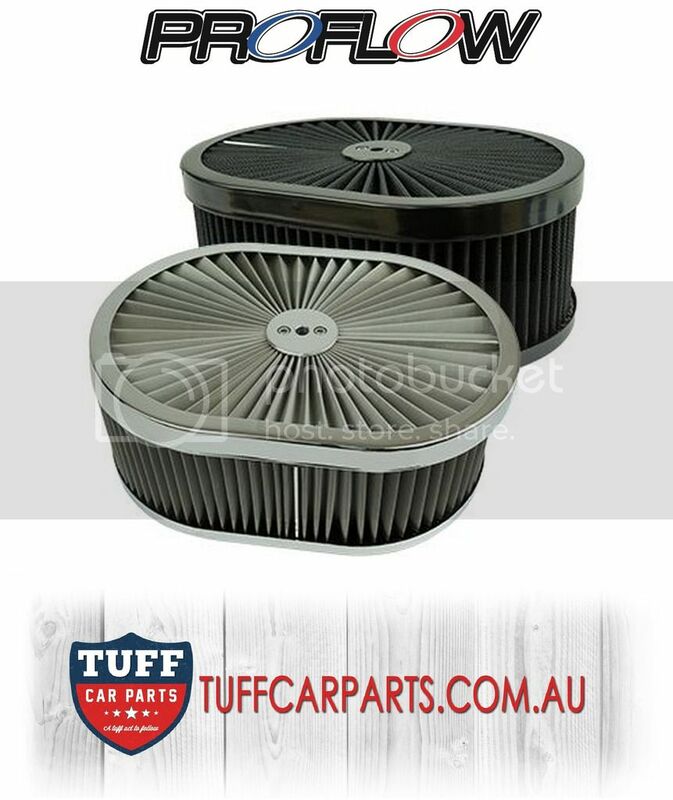 calaisturbo.com.au - Proflow Flow Top Air Cleaners now in stock @ Tuff Car Parts! Proflow Flow Top Air Cleaners now in stock @ Tuff Car Parts! These Proflow air cleaners contain a high quality and attractive washable element designed to remove solid particulates such as dust, mould and pollen. It provides superior performance by increasing the allowed air flow through the top and drawing down into the engine and the sides. Supplied complete with matching Proflow top nut and mounting stud. 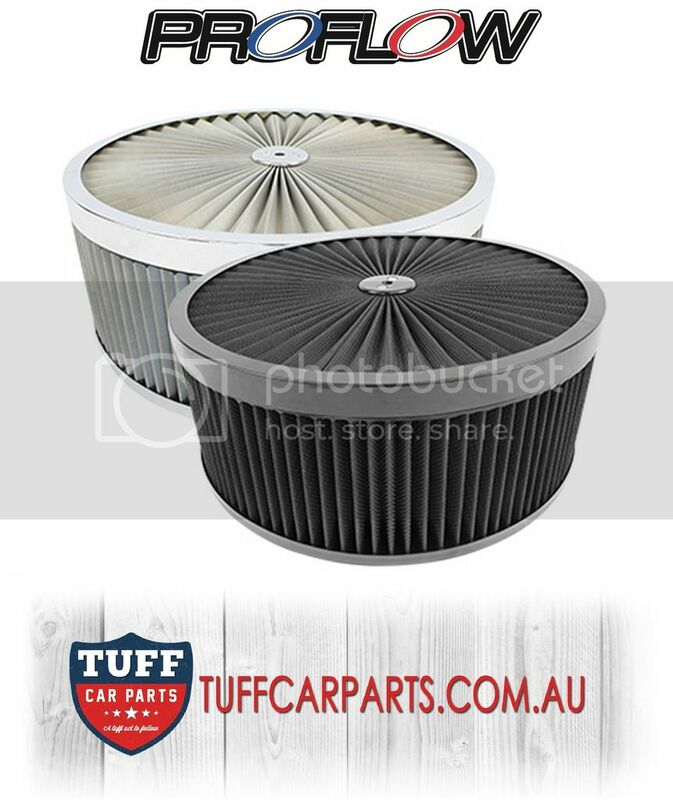 Washable and reusable air filter element, meaning you should never need another filter for your car again. Available now in stealth black or silver stainless and choose from a range of sizes in round 14x2 & 14x3 and oval 14x9x2 & 14x9x3! Prices starting from only $124.95 inc GST.